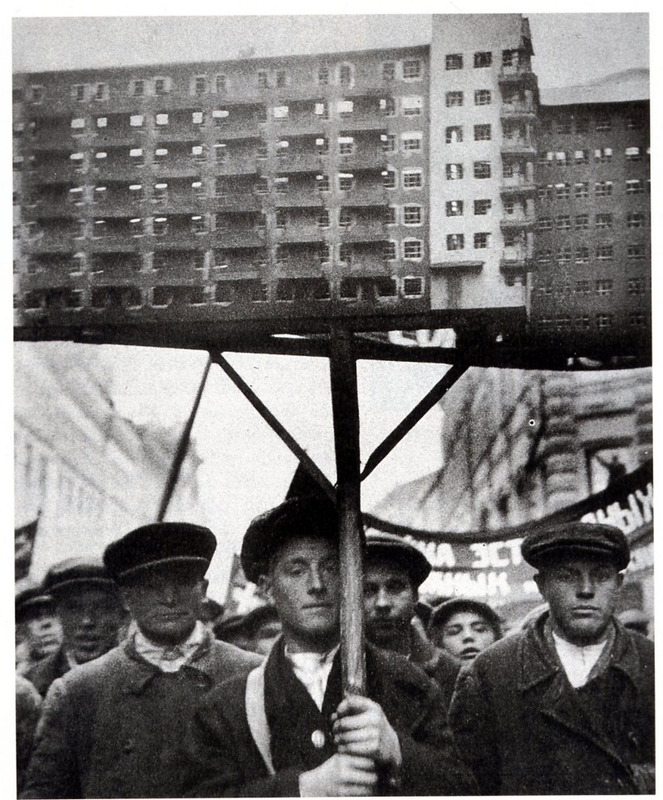 I would love to know if these men are protesting for or against the housing/architecture whose model is being carried aloft. Or if it meant something else entirely. The 1930s in the USSR was a significant time in the reorganization of households, including the abolition of legal abortion, the introduction of a ‘baby bonus,’ the re-sacralization of wedding rituals, and so on. Previous Previous post: The abolition and limitation of (which and whose) work?